We would like to thank Sweet Blessings for hosting our Committee Meeting and Meet and Greet last night. 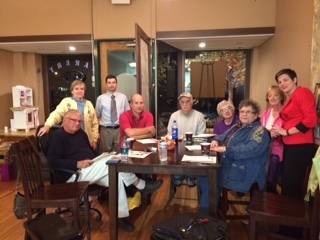 We also send a special thanks to Jane Kobos, Coordinator of Special Services for Manchester-Shortsville School District, for coming to our meeting to develop a plan to connect the local students with local businesses to help them discover their future. We invite everyone to give feedback about what you would be willing to do and what would best help your business and the students. We will have a survey that we post to gather more info too. We will then share the information with Jane and the others on the committee. Thank you again for your support for the local businesses and our students!